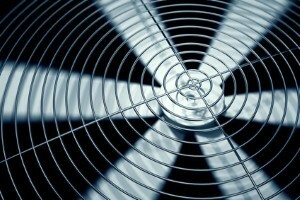 It can seem like there are an almost infinite number of things that go into keeping your home in order at times, but one that most homeowners tend to forget about at times is indoor air quality. Maintaining a healthy indoor air quality inside your home is arguably one of the most important aspects of owning a home, and here at The Best HVAC, we are the State College heating & air conditioning company that can help you do it. Are you looking for a team of experienced professionals to help you improve the air quality inside your home? If so, give our team of indoor air quality specialists a call today and let us show you the kind of quality service that has helped make us a household name throughout the State College area. Here at The Best HVAC, our team of experienced indoor air quality experts understand that there is a lot that goes into maintaining a healthy environment for you and your family inside your home. From proper ventilation, air conditioning repairs, filter, and even humidifiers and de-humidifiers, everything plays its own part. If you have any questions about our full line of indoor air quality services, or if you would like to schedule an appointment for consultation with one of our specialists, give us a call today. Our team of experts are always standing by and ready to assist you in any way we can.